It is hard these days to address an issue without, at least briefly, coming back on the outcome of the UK referendum on the European Union, better known as Brexit. Although we will withhold us from writing one more Brexit analysis, we would like to add some reflections to the package of unanswered questions that are already on the table before the negotiations on the implementation of the famous Article 50 of the Lisbon Treaty have started. Looking at European security and defence one can hardly argue that the decision of the British people will not influence future developments. With the almost simultaneous enlargement of NATO and EU, the decrease of defence budgets linked with deep cutting national defence reforms, we are nowadays confronted with a fragmentation of European military forces. That this comes at a time where threats from the East as well as the South are increasing and new forms of warfare such as hybrid are being used makes the situation even more complicated. It can of course be argued that it is NATO’s role to (collectively) defend its member states and the EU’s task to take care of the internal security. Critics will react by stating that Europe has no experience in the field of security. For the past, this is true: during the cold war period, it was NATO guaranteeing the security of its member states. Since the end of the cold war however, the European Union has slowly developed its own mechanisms to deal with questions of external as well as internal security. The UK, a member state with well-equipped, experienced and well-organised armed forces will leave the European Union in the near future. In one way or another, this decision will influence the Union’s future security and defence developments even if one could argue that the UK has never been a big supporter of the Common Security and Defence Policy (CSDP). It is also a fact that it will remain a strong NATO member state and play in this way its role. At this point, the long announced declaration on EU-NATO relations came at the right moment as it was foreseen to be adopted at the European Council of June 2016, the week after the UK Brexit. However, looking at the conclusions of the European Council of 28 June it was perhaps a bit naive to believe that a strong statement would be made. The EU-NATO cooperation was discussed in presence of the NATO Secretary General and the Council “called for further enhancement of the relationship, in light of our common aims and values and given unprecedented challenges from the South and East”. It has also been stipulated that this “new ambition” – whatever “new” may mean – should take the form of accelerated practical cooperation in selected areas. A common declaration on this is foreseen at the NATO Warsaw Summit of July 2016. I fully agree with the statement of the High Representative saying that “we need a shared vision and common action” and that “none of our countries has the strength nor the resources to address these threats and seize the opportunities of our time alone.” Yes, we can only achieve our goals by a truly united and committed Europe. Yes, we have a collective responsibility to make our Union a stronger Union. Even if it is still a reality today, I have some difficulties to understand why it is needed to continue emphasizing that member states remain sovereign in their defence decisions adding however that defence cooperation must become the norm to acquire and maintain the full spectrum of defence capabilities. It can be applauded that the EU will systematically encourage defence cooperation and strive to create a solid European defence industry. But encouraging defence cooperation is the mantra of the last decade with a breakthrough on the pooling and sharing principle brought on the table at the informal Gent defence summit in 2010. What we notice however is that member states continue to play their own game and turn towards European – more often even a binational or regional – cooperation only when they feel the need to do so. The same reflection is made in the Council conclusions on the EU-NATO cooperation stating that this will take place “without prejudice to the specific character of the security and defence policy of any Member State”. The continuing straddle between the need to develop a truly European defence union and the continued emphasis of the sovereignty of the member states in matters of security and defence makes things not easier to deal with and makes the European Union surely not stronger. 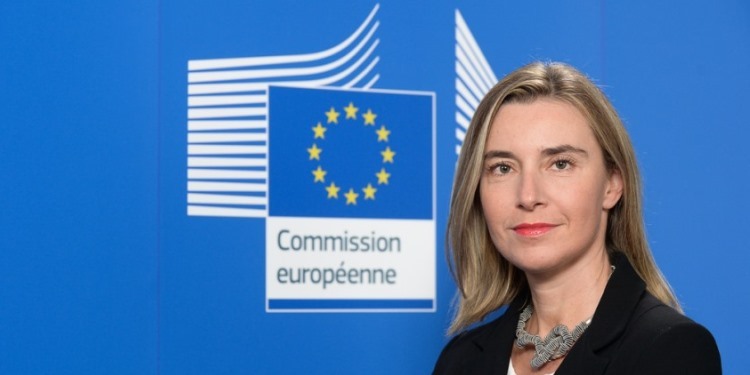 But let’s close this editorial with a positive view towards the future and share Federica Mogherini’s statement that “we must now swiftly translate this vision into action”. With the commitment that an annual reflection on the state of play of the EUGS, pointing out where further implementation must be sought, there is work to be done in the future. The outcome of this reflection will very much depend on the will of member states to implement the EUGS and think out of the “national” box!